Razor-brained Monevator reader Chris recently emailed to ask us whether some investors are better off holding foreign-listed Exchange Traded Funds (ETFs) in place of our native species, on the grounds that you suffer less from the ravages of withholding tax. Let’s zero in on the foreign-listed ETFs we’re mostly likely to want: US ETFs. For the avoidance of doubt, when I say foreign-listed, I mean ETFs traded on foreign exchanges as opposed to the London Stock Exchange. 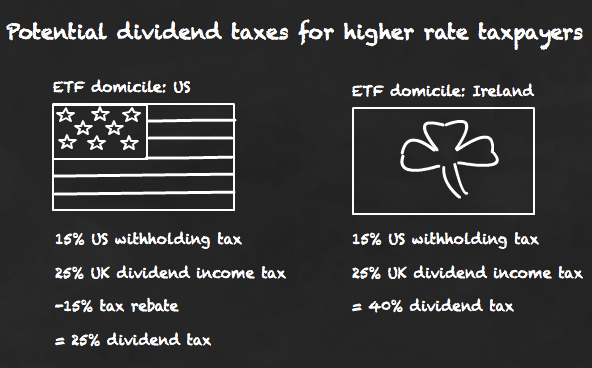 The travails of withholding tax mean that a US-domiciled ETF will pass on dividends to a UK investor minus 30%. That’s a mighty tax chomp, which you can cut to 15% by filling in a W8-BEN form. Then once you get your divis over the UK border – hello, here comes Her Majesty’s crack tax troopers, slavering for another pound of flesh. Basic rate taxpayers can be on their way without further unpleasantness, but higher rate payers must cough up a further 25% in dividend income tax. Top earners hand over another 27.5%. The good news is that you can flash your US withholding tax bite marks and get 15% knocked off your UK tax bill, because even HMRC knows mercy. So your total dividend income tax liability is 15% (US) + 10% (UK) = 25% for higher rate tax payers who don’t have their investment in a tax shield such as an ISA. We’ll come back to the tax avoidance question later. As well as being two major Eurovision powers, Ireland and Luxembourg are the domicile of choice for most London-listed ETFs. Why? Well, for one thing they don’t menace UK investors for withholding tax. Irish and Luxembourgian ETFs still pay withholding tax to the US on their underlying assets. In other words, a London-listed S&P 500 ETF will pay 15%1 withholding tax to the US IRS before they pay the balance to you. So your dividends are shorn of 15% as usual. 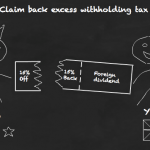 But again the UK taxman cometh and this time you can’t claim 15% back. The ETF paid it, not you. That means a higher rate taxpayer suffers 15% (US) + 25% (UK) = 40% tax loss on these US dividends outside of tax wrappers. So you’re better off with a US-listed ETF, right? Come now, my poppet, neither of us wants this to end so soon. Let’s suppose that in comparison to its London listed alternative, the higher dividend payout and slightly cheaper expense ratio of your US-listed ETF outweighed the higher cost of trading and general hassle. The tax-based fly in your returns ointment would now be if you were to accidentally invest in a non-reporting fund. 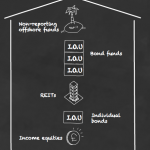 Non-reporting funds are bad because their capital gains are taxed as income. In other words, you’ll be taxed on gains at 40% or 45% (rather than 28%) as a higher-rate payer. Most London-listed equity ETFs apply to HMRC for reporting fund status and are thus subject to normal capital gains taxation. Your typical US fund doesn’t bother, and so falls into the non-reporting camp. Smashingly, some US-listed ETFs and funds wear Union Jack underpants and have acquired reporting fund status. You can find HMRC’s list here. There are plenty of Vanguard options on the list, so passive investors are well catered for. Higher-rate taxpayers without ISA space should look into foreign-listed ETFs to fulfill single-country positions. Basic rate taxpayers needn’t bother. Anyone holding London-listed ETFs in an ISA is fine. Stick with London-listed ETFs for multi-country ETFs such as emerging market or global trackers. Definitely investigate US-listed ETF options for your SIPP. Read on for the tax shelter twist in the tale. 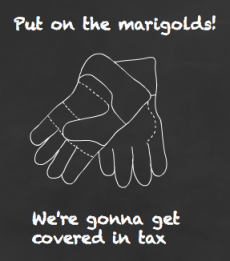 When it comes to withholding tax, ISAs are like paper overcoats versus bullets: irrelevant. ISAs do protect against UK dividend tax, but generally they don’t admit foreign-listed funds, so they are not a factor in this debate. SIPPs, however, are more like your lucky cigarello case: they can deflect withholding tax if positioned properly. The excellent International Investor has written a superb post on which countries cut pension schemes a break. Happily, US dividends paid into a SIPP are not liable to pay any withholding tax and SIPPs will accept most foreign-listed funds. The snag is that the Americans still deduct your withholding tax at source. To get away Scot-free, you should choose a broker who can recover the additional 15% for your SIPP. (Not all can). I’d like to sign-off now, especially as I imagine this piece has witnessed desertion rates not seen since Napoleon’s retreat from Moscow. But sadly there’s a couple more withholding tax tricks-of-the-trade that we need to clear up before I go. Many ETF managers use withholding tax to massage their returns. Here’s how. Though we know that ETFs generally use Double-Taxation Treaties to pay lower rates of withholding tax (e.g. 15% instead of 30% for ETFs with US holdings) they measure themselves against indices that assume the maximum tax whammy. If you dig beneath the factsheet, you’ll discover that many ETFs track the Net Total Return version of their index. For example, the S&P 500 Net TR index will post returns minus 30% withholding tax, but ETFs only pay 15% and can use the difference to close their tracking error. 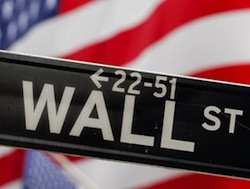 The second way that ETF managers can exploit withholding tax is through security lending. When the dividend is due, a share can be whisked to a territory with a reduced withholding tax liability. Lend a French share to a French institution, for example, and no withholding tax is paid whatsoever. The ETF manager and friend then split the upside and hopefully we enjoy another shaving off the tracking error for bearing the counterparty risk. Both physical and synthetic ETFs play these games and I haven’t seen any concrete evidence that it makes either type a slam-dunk purchase over the other. There are far better reasons to buy an ETF, so measure its tracking error as best you can and choose the one that hugs its index like its mama. The second link confirms that the estate duty may be disapplied by a relevant tax treaty and that Form 706NA is still required if the US assets are greater than $60k. I agree it would be a bit of a pain to fill in the form, so that might be good enough reason to avoid having more than $60k worth of US dom investments, unless the benefits are significant. Incidentally, the third link is the treaty dealing with income tax. The treaty covering estate duty is linked in post 26.